Reactionary Ann Coulter used to employ a method of making more and more outrageous and absurd statements about the left, always trying to outdo herself and becoming a self-parody in the process. Last week News Corp, parent company of the Fox propaganda channel, announced that last Friday would be the beginning of Glenn Beck's "final chapter." Employing his trademark paranoid style, Beck is claiming that Obama is the "first" American emperor; and "they" are prepared to "kill 25 million Americans." This is a continuation of Glenn Beck going the extra yard to garner media attention which in the past has lead to more viewers, better ratings, more followers, more book sales and more money for Glenn Beck. Last February, his hysterical rantings about the Egyptian uprising also got the attention of mainstream, adult conservatives, who may have pressured Fox president, Roger Ailes, into transitioning Beck off his 5:00 slot before he did more damage to the conservative cause. Beck has made the false claim that Obama is the first American emperor in the past, and the bogus claim been debunked here because it was a senior George Bush advisor who declared to the political scientists that "we're an empire now." Apparently Beck counts upon his audience not being well informed which they are if they watch Fox. To Beck's audience, none of this is absurd; and that is disconcerting. To consider that millions of Americans are taken in by the idiocy of Beck's retro-John Birch Society shtick is sad and disheartening. The "Final Chapter" of Glenn Beck's Fox News run kicked off Friday with Beck warning that a plot to "collapse the system," "redistribute the wealth," and create an Obama-centered empire was based on a willingness to kill "25 million Americans." 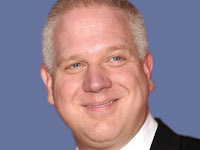 Fox News announced weeks ago that Beck "intends to transition off his daily program" on Fox News. Earlier this week, News Corp. announced that the "Final Chapter" of Beck's Fox News show would begin Friday. That chapter of the Glenn Beck saga began with Beck claiming that he is leaving Fox to transition from "preaching to the choir" into getting "involved" in stopping the "nefarious plans" of progressives. Setting the stage, the final chapter chalkboard revealed that all the same demons continue to haunt Beck: magnets representing the "radicals" whom "Obama has surrounded himself with" -- Richard Trumka, Andy Stern, Van Jones, George Soros, Samantha Power, Cass Sunstein, Stephen Lerner, and The Tides Foundation -- populated every corner of the chalkboard. Beck warned his audience of the dangers posed by the "true revolutionaries" on his chalkboard, who support communism and the "redistribution of wealth," and by "people like George Soros" who want to "collapse the system." ,,, This is not atypical -- in fact it is a hallmark of Beck's show to suggest violence is originating from "the left" and to then beg his audience to resist. After all, when Beck tearfully announced his 9-12 Project, he told his Fox News audience, "They don't surround us; we surround them." Months later, he amped up the paranoia, proclaiming, "Shoot me in the head if you try to change our government -- I will stand against you, and so will millions of others." At one point Friday night, Beck said that it was "getting boring" to demonize the "same people," raising the question as to just how much longer this transition will be supported by Fox News. So long as this transition continues we will continue to watch with awe and dismay the theater of the absurd known as the Glenn Beck show on the Fox propaganda channel. Sadly, the damage Beck is doing to the political discourse in the United States will take a generation to fix. Even then, stupid people will still believe the stupid and deceitful claims that Beck has spouted over the last 27 months. Beck is not a stupid man, but many of the ideas his followers swallow are dumb, absurd and dangerous for our political order. Beck's departure from Fox cannot come soon enough. That Beck was allowed to spout his nonsense and purposely and deceitfully divide the people of the United States during two wars and an economic recession is an indictment of Fox, a channel of misinformation, lies and right-wing propaganda.